Where's January gone? … how are those resolutions going?... don’t worry, we have some better challenges for you. You've consumed your own body weight in Quality Street, put the last of the Christmas decorations in the attic and feel engulfed by a looming panic of having to embark on a new diet, a gruelling fitness regime – or, god forbid, a cruel combination of both. But thankfully you can lob those thoughts aside because there's a whole raft of exciting car-related stuff to be getting on with instead in 2019! Hackneyed as it sounds, there's truth in the old saying 'Life's too short.' So, if you've always hankered after the car you owned as a youth or could never quite afford, now's the time to act. After all, what's the point of putting it off? Don't just buy the first example you see, though. Join a club, read the necessary buyer's guides on this site and swat up on what to look for and what to pay first. If you're a 'first timer' also be sure to check our story on buying your first project. Why waste time learning a new language or becoming the font of all knowledge so you can excel at your local pub quiz when there's so much other more useful stuff to master this year? Especially if you've got a car needing work in your garage. Why not invest in a MIG welder, cutting tools and some replacement body panels and polish up on some metalworking skills. We stock a good range of specialist Bodywork & Fabrication equipment to help restore your classic. Alternatively, splash out on a spray gun and master the art of painting to smarten up your tired looking bodywork. Doing the donkeywork yourblank will not only cut the cost of restoring a car but also add that special sense of accomplishment when it’s all finished. The thing we often hear when talking to owners about their cars is, “If only I had a better record of all the work I’ve done.” So in 2019, we’ve got a suggestion. Why not make a history file, starting with early pics of when you got your car along with its receipt if you still have it, followed by photographs of memorable trips or work you’ve done along the way. Start now and keep adding to it. 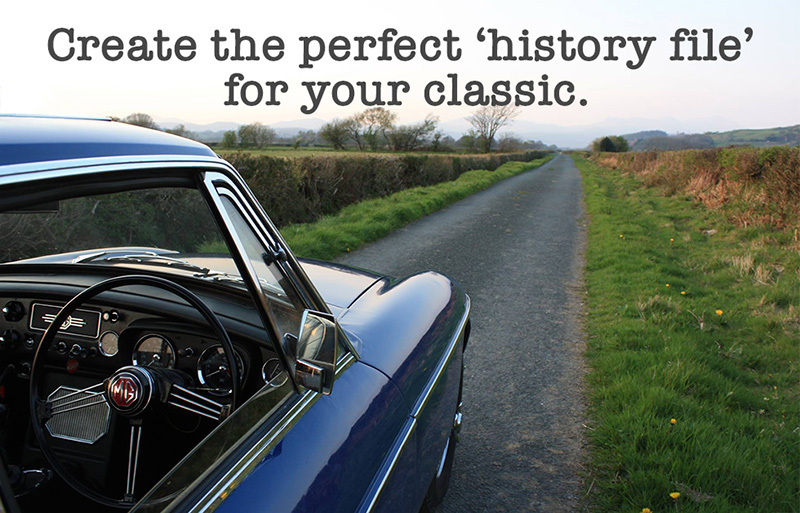 For more ideas check out our tips on creating the perfect 'history file' for your classic. Driving on the Continent is great fun, so why not plan a European road trip in 2019. The roads are often better, there’s usually less traffic and you'll get a huge rush of pride when you finally reach your far-off European destination in your classic. And, to be honest, you don’t need to go far. When crossing to Calais, resist the urge to head south and turn left instead because assuming your car can cope with the cobbles, historic towns like Ghent and Bruges are great places to visit. Have fun planning your route and go with like-minded car-loving friends for the ultimate road trip experience. They'll also be on hand in case you break down! 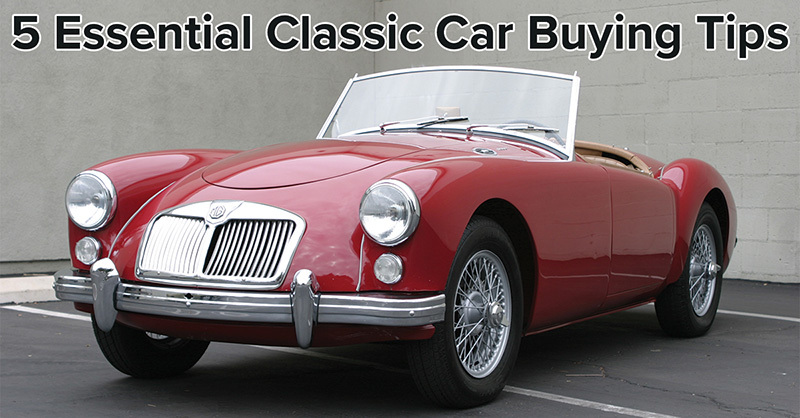 Owning an older car becomes a whole lot more fun if you can share the experience with other likeminded classic car lovers. Local car clubs are thriving these days and there’s nothing better than meeting up at a local hostelry for a car-related natter and noggin. Not only will it provide the necessary boost when moral is low, but you can also get to share knowledge, skills and tools as well as manpower if you need to lift out an engine or get something moved. A great place to start is on Facebook. Just by searching the make and model of your car, you’re likely to find several groups of enthusiasts to get chatting to. As one year closes and another opens, it’s a good time to address all those little issues that you've had to live with over the previous season. The things that you never quite got round to addressing. That annoying rattle, the fact that your driver's door doesn't quite fit right, that little section of missing trim or patchy paintwork... Draw up a hit list of all the niggles and get them sorted before the season gets started. Inevitably, at some point you'll have to face the music, join that gym, pledge to drink less and curb your appetite for stodgy cakes. But at least you'll have a few motoring-related excuses not to take it all too seriously.